The Leica Q2 is the second and upgraded model of the Leica Q. It has a simple concept where it shoots at a wide angle, with sharp and bright details with a full-frame image sensor. Above all, the great part of this camera is its compact size that is convenient to pack while on the go — but not that small. 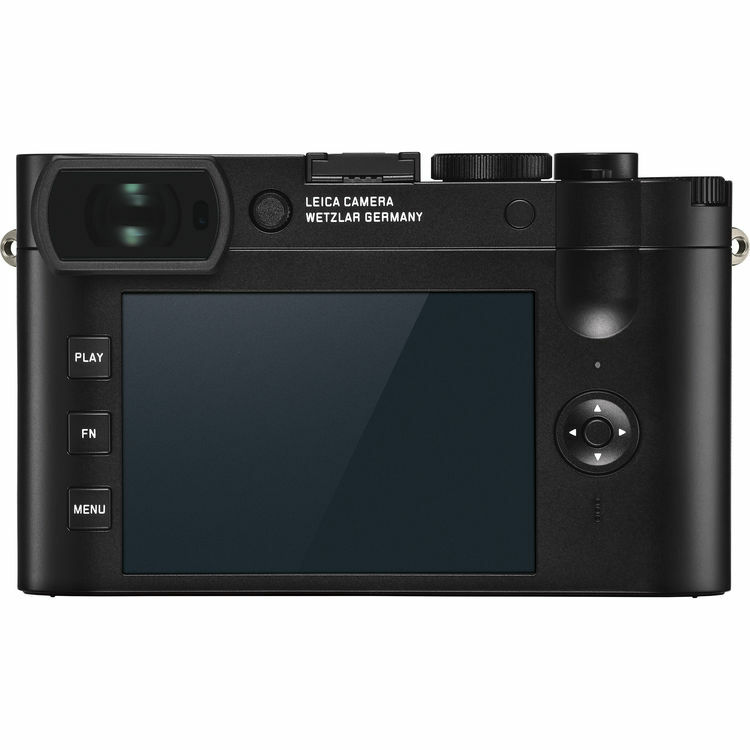 This time around, with the Q2, Leica made this model with weather protection, increased the sensor resolution by almost double, and improved its design to make it even more appealing than what it was. With all these high-quality features, you can expect the price to reflect that. The Q2 is not cheap and definitely an investment. The price might scare you a bit but let’s break down what you are paying for and if the Q2 is worth buying. Simply looking at the Q2, the original Q was obviously the blueprint. Even if there is not much of a difference when it comes to the look and feels – it is not exactly the same. Holding the camera, it has a sturdy feel. The German manufactured camera is made with a metal exterior shell that is wrapped in a material similar to leather. This leatherette material has a diamond pattern that feels a bit rough but helps grip the camera. Along with that, there is a rear indent that allows your thumb to rest. Even with this material around the camera, it still comfortable to the hand. Other options that are available to secure your camera is a black leather neck strap or wrist wrap, which comes with the camera. Also, you can buy a traditional hand grip that goes into the tripod socket. The Q2 has a 3-inch LCD that is touch sensitive with 1.04 million dots along with a 3.6m-dot electronic viewfinder. In addition, the viewfinder has an OLED panel which is an upgrade from the LCoS-Style panel that has been used before in previous models. As for the LCD, it is a fixed screen as Leica prefers to keep the model simple. Even though many other cameras now have a tilt screen, the visual quality of the LCS screen has great clarity which is beneficial when viewing images. One of the main changes the Q2 has in comparison to the Q is the IP52 weather-resistance. Though, this feature does not necessarily guarantee the camera to be completely sealed against dust and water but it does prevent damage while in tricky environments. There is also a newly developed 47.3-megapixel sensor in the Q2 which is almost double the size from the Q’s 24-megapixels. WiFi is available within the camera which allows users to transfer files or use as a remote control. You will need to download Leica’s Fotos app, which is available for Android and iOS. Q2’s battery life expectancy can go from 270 to 370 images, which is an increase from the Q. It uses the same battery that can be found in the Leica SL, a BP-SCL4. Just like the camera itself, the batteries are not cheap and go for $250 each. In addition, there is also a wall charger that is included but the Q2 doesn’t have a USB or power port. Therefore you won’t be able to directly charge with the cord. You will be able to see the difference in quality between the original Leica Q and the Q2. There is a jump in pixels which is evident in the sharpness and the strength of the processor. This will create incredible details within each photo. When you start shooting at f/1.7, the sharpness in the center of the frame is clear but you might notice some softness in the corners. The softness improves as you close the aperture and at f/4, there is consistency from the center to the corners. As for the colors, expect vibrancy by default and it is accurate to real-life. The camera’s white balance system does an exceptional job working in natural and artificial lighting. And even when you increase the ISO, details are still strong. Although you might notice the effects of noise reduction on large areas whereas the majority of the frame will still be strong in detail. The Leica Q2 is a camera that takes a lot of consideration because it basically is a luxury piece. There are many great qualities of the camera that make it worth its price, aside from its brand name, and it is an incredible camera. It’s convenient for those not looking for something as bulky as an SLR but it’s still not pocket-size. There are a few competitors that offer, more or less, the same features for a much cheaper price but if you’re a fan of Leica, love the idea of the Q2, and can afford it then why not?